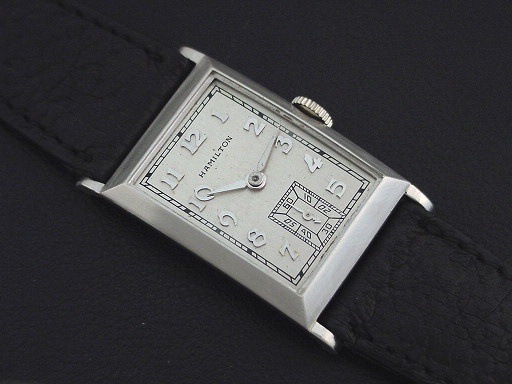 Scarce Hamilton “Rutledge” men’s Art Deco design wristwatch in solid platinum, circa 1938. 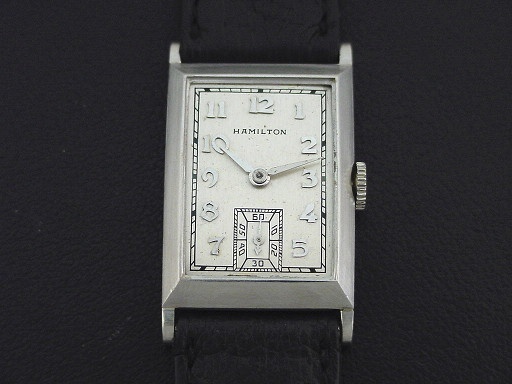 The “Rutledge” was Hamilton’s most expensive men’s watch, priced at $175.00 in 1938. 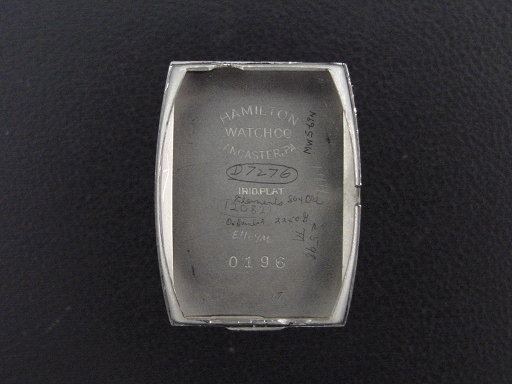 This example is in crisp, excellent condition showing almost no wear, just a few light marks to the satin finish case. 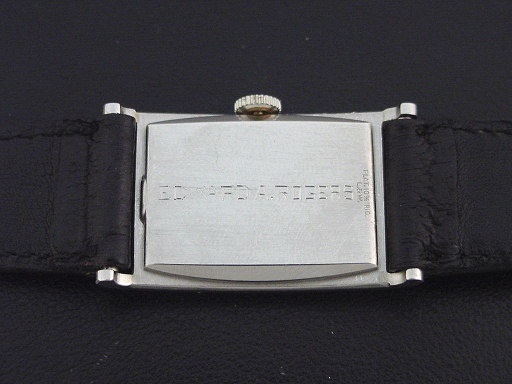 Caseback is excellent, with an engraving. 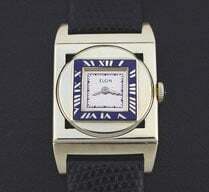 The case measures 37mm long and 22mm wide. 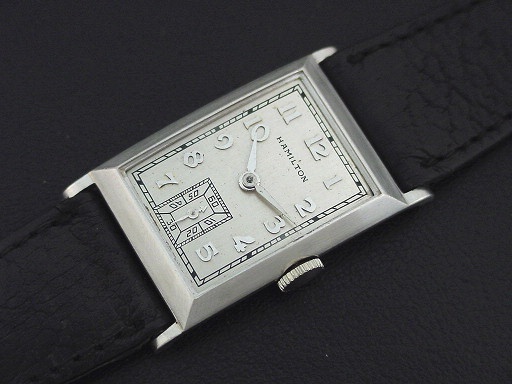 Dial is excellent, has solid 18K gold applied numerals plated in rhodium. 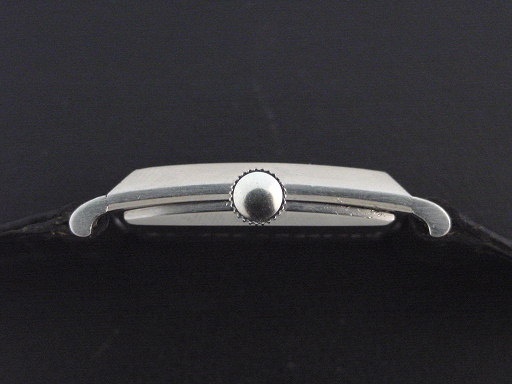 Has new glass crystal. 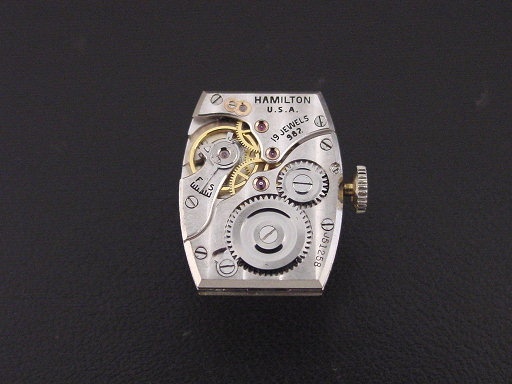 This watch is powered by its correct 19-jewel Hamilton grade 982 manual wind movement, just serviced and running strong.